Hatteras Tours travels famous Highway 12 from Duck to Ocracoke visiting the top landmarks and most exciting attractions that the Outer Banks has to offer. The informative and entertaining commentary by your local guide will have you wanting more when the trip is over. 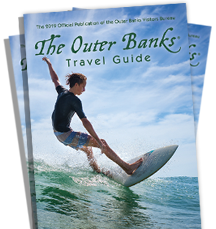 Discover the unique maritime history, heritage, culture and tradition of Hatteras & Ocracoke on North Carolina’s Outer Banks with noted island author, historian and storyteller, Danny Couch.